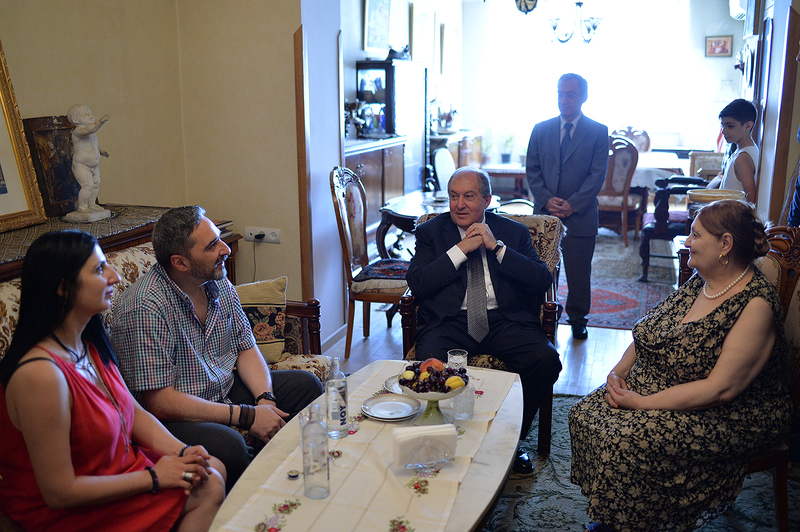 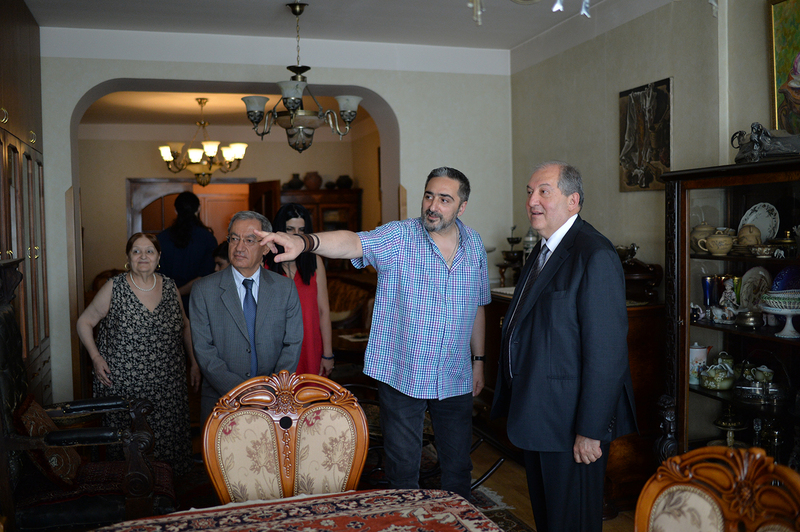 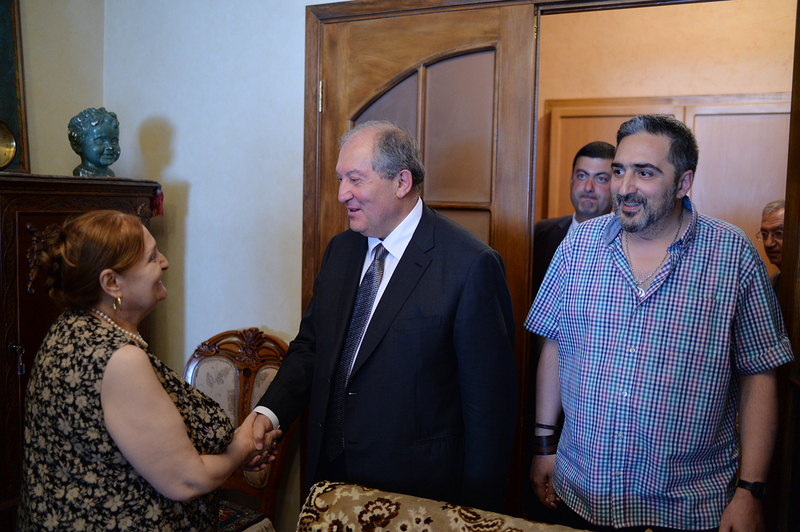 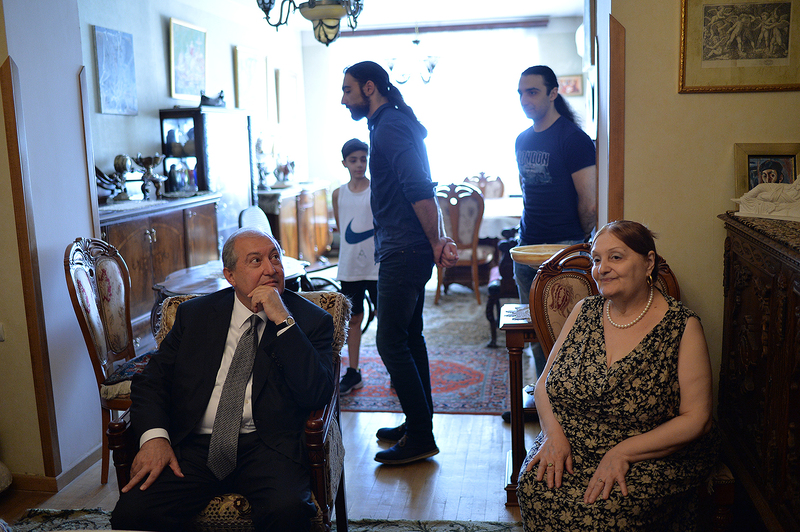 President Armen Sarkissian visited today home of the great artist Minas Avetissian, congratulated the widow, children and grandchildren of the artist on his 90th birth anniversary. 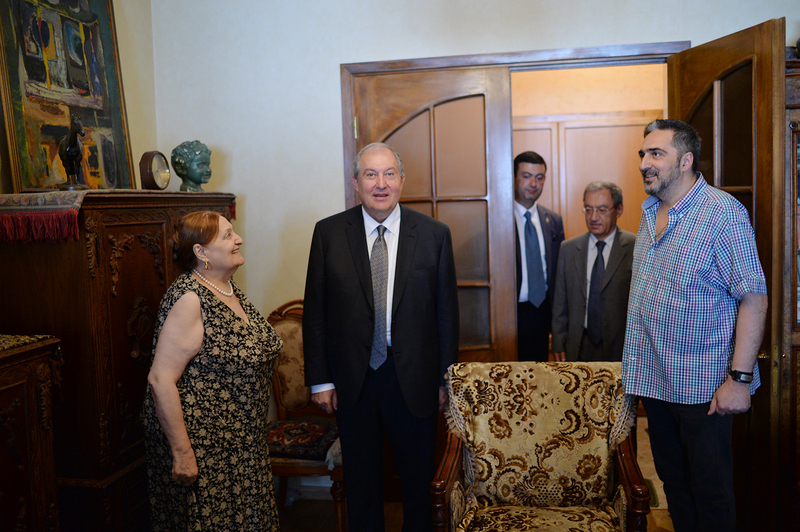 The President observed some of early works of Minas, conversed with the members of the family and listened to the stories about Minas. 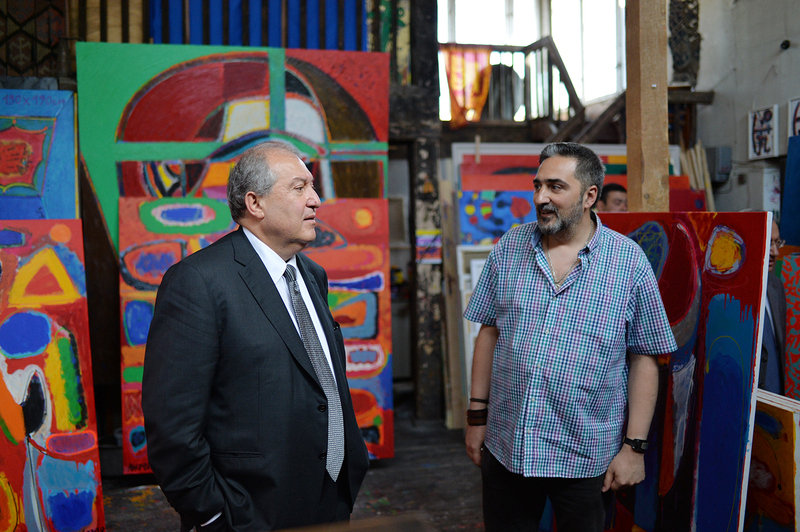 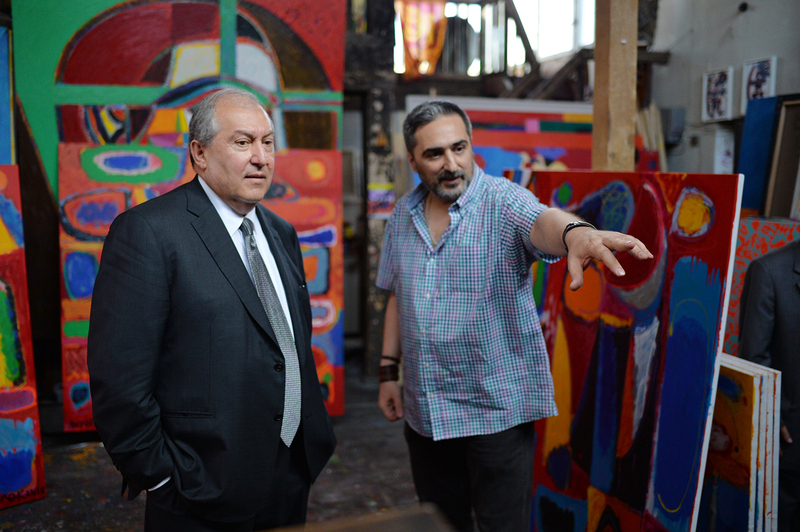 Later, President Sarkissian visited the master’s studio. 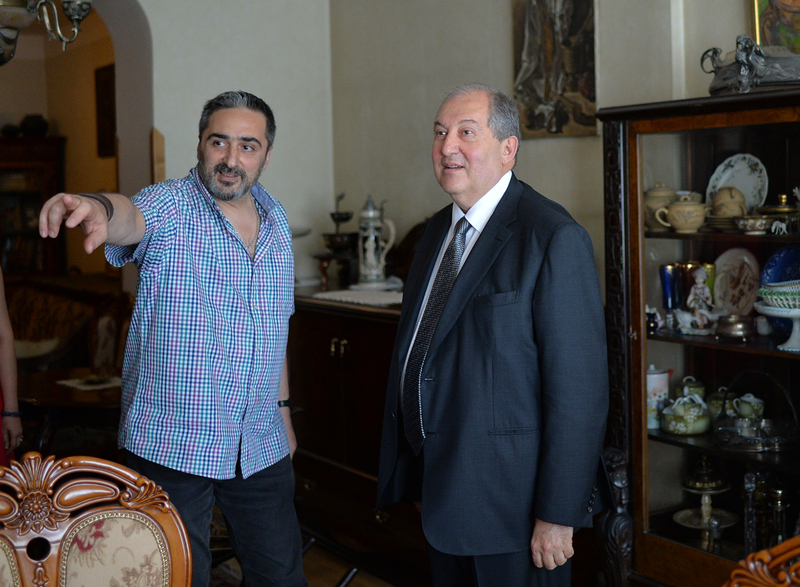 Today his son Narek Avetissian is working here. 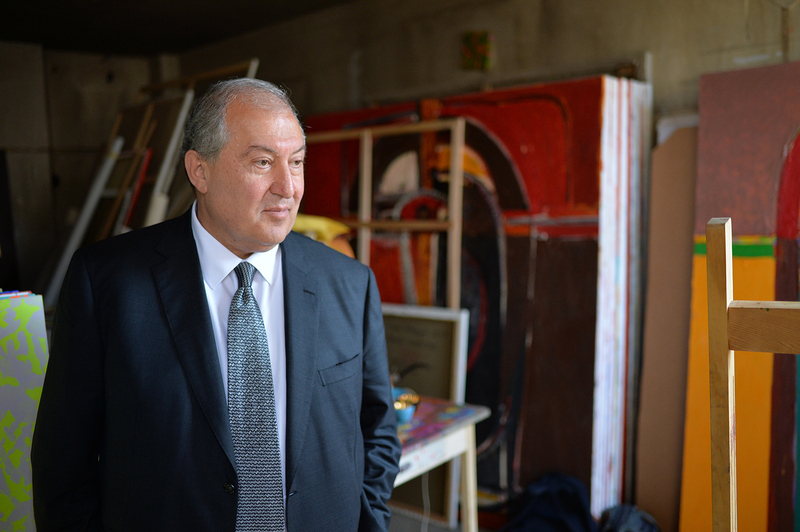 Armen Sarkissian observed his pictures and conversed with him on the tendencies in the modern art.